"Tsunami Child" by David C. Kopaska-Merkel is the Songs of Eretz Poem of the Day for May 7, 2014. An audio version of the poem featured in Amazing Stories recorded by Diane Severson Mori may be found here: http://amazingstoriesmag.com/wp-content/uploads/2014/05/Tsunami-Child.mp3. "Tsunami Child" is part of Kopaska-Merkel's Elgin Award-nominated collection, Luminous Worlds. Poet and geologist David C. Kopaska-Merkel (pictured) is the President of the Science Fiction Poetry Association (SFPA) and the editor of Dreams and Nightmares magazine. Reference to this and additional biographical information as well as a review of Luminous Worlds may be found here: http://amazingstoriesmag.com/2014/05/poetry-review-luminous-worlds-david-c-kopaska-merkel/. I was a flight surgeon on active duty in the United States Air Force when the terrible tsunami of 2004 struck Indonesia and South East Asia. 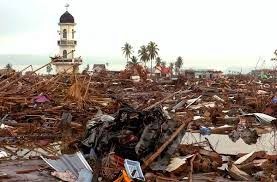 I served in Indonesia in the tsunami's immediate aftermath as part of an Air Force contingent tasked with airlifting relief supplies to the victims. My unpublished poetic memoir, A Wave of Poetry, chronicles the events of that time. So, I can say with some authority that Mr. Kopaska-Merkel has managed to capture the horror, sorrow, devastation, and hopelessness of the tsunami victims in his incredibly moving poem.